A hardy hedge doted with bright red berries and deep green leaves, the Cotoneaster is a lovely autumn/winter feature in your garden. The other great thing about Cotoneasters are that they remain green throughout the year until deep winter when the leaves drop off leaving only the bright red berries. When covered in snow, it is very picturesque! In spring, this is a great time to divide up the plant and pot up for gifts or repositioning around your garden. Cotoneasters seem to self-seed as well, as I have found. 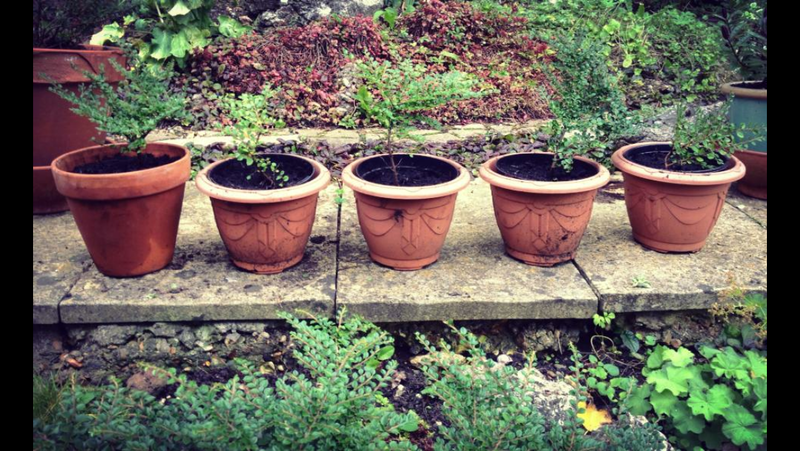 The pots below are all self-seeded small plants I have been able to dig up and put into pots. 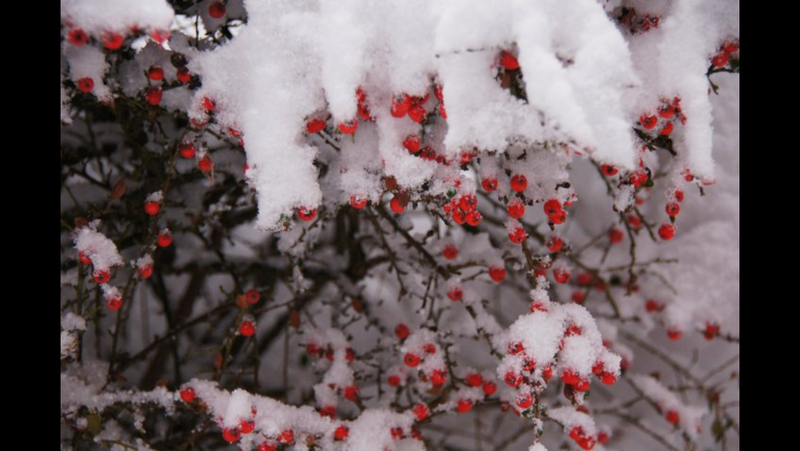 The Cotoneaster horizontalis can be grown flat against the wall, which is why it is also known as ‘Wall Cotoneaster’. 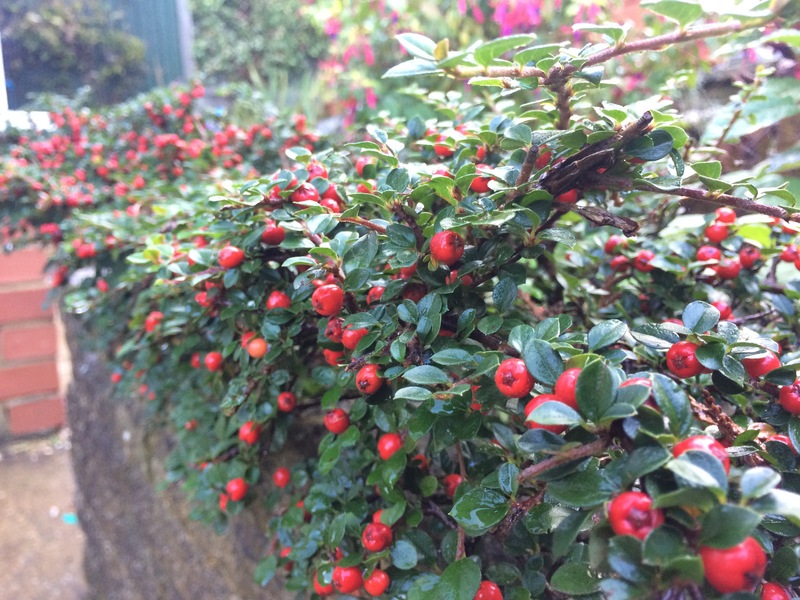 The branches make a herringbone pattern, so when it is grown against the wall and the leaves fall off, the Cotoneaster looks fabulous!